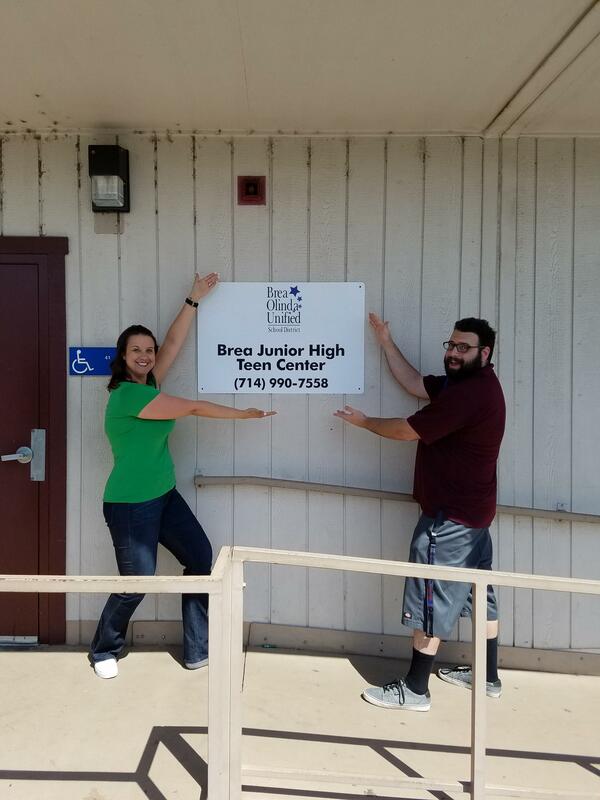 The Brea Junior High Teen Center is an incredible addition to The Department of Child Care Services for the Brea Olinda Unified School District. Located next to the soccer and softball fields in H-43 and H-44, the Teen Center gives seventh and eighth graders an on-campus resource where they can hangout in a safe and supportive environment. In addition to homework assistance, access to the media center/library, and textbooks in our room, the Teen Center provides children with different opportunities to participate in Service Projects as well as Long Term Projects. The Teen Center also offers teenagers an array of games and tournaments every week such as pool, ping-pong, foosball, Nintendo Wii, and an assortment of outdoor activities. As you can see, the Brea Junior High Teen Center is an ideal environment for kids to learn, express themselves, and grow into adulthood. If you haven’t visited yet, feel free to come by and get in on the fun! Still unsure? Come by and “Try a Day for Free” anytime that is convenient for you. If you have any questions or comments, please click HERE to email Rebecca Smith, Site Coordinator.